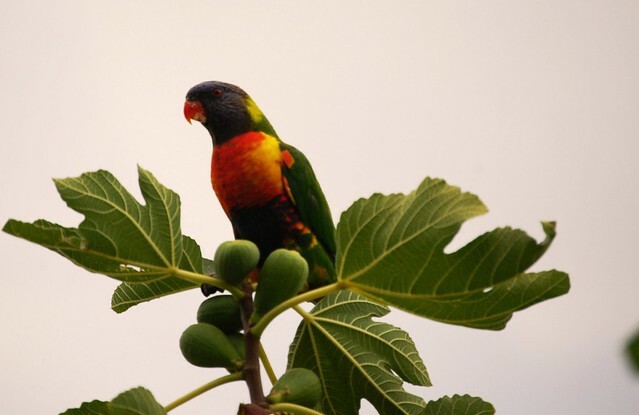 How is this little guy in my back garden feasting on our fig tree! It really never gets old for me - coming from the land of dull animals - that these colourful birdies hang around in the suburbs of Melbourne. They are Rainbow Lorikeets and I love them, even though they chirp annoyingly in massive groups first thing in the morning. Feast away on those figs little friend.